If you have company stock in a 401(k), you will want to learn about Net Unrealized Appreciation (NUA) and how to minimize taxes when you rollover these funds to an IRA. Once you leave a job, or reach age 59 ½ you have the option to move your 401(k) into an Individual Retirement Account (IRA) at any brokerage or fund company. A big advantage of moving your money into an IRA is you will have more investment options compared to the limited lineup of funds offered within a 401(k) plan. Moreover, once you are ready to start living off of your retirement savings, it will be a smoother administrative job if you have all your investment accounts at one brokerage, rather than having to keep track of accounts from different jobs/401(k)s.
Usually, the smart way to move your 401(k) money to an IRA is through what is called a direct rollover. Your entire 401(k) balance is transferred directly into the IRA you have set up at a bank, brokerage or fund complex. With a direct rollover you will not owe any tax for making this move. You’ve simply transferred your money from one tax-deferred account to another tax-deferred account. You won’t run into a tax bill until you start to make withdrawals from a traditional IRA. If you own company stock within your 401(k) you should consider a different rollover tactic that will in fact trigger an immediate tax bill. Sound crazy? It’s actually crazy smart. There can be significant tax savings if you rollover your company stock into a regular taxable account. (All your other 401(k) assets invested in mutual funds should be rolled over into an IRA). By rolling company stock into a taxable account you can take advantage of an arcane tax accounting move called Net Unrealized Appreciation (NUA) that divides your company stock into two tax piles. Your Cost Basis: This is the value of every share of stock at the time you were granted company stock, or bought shares within your 401(k). Your Net Unrealized Appreciation: The current market value of your company stock minus your cost basis. When you use this strategy you will immediately owe income tax on your cost basis. But there is no immediate tax on your NUA, as long as you continue to own the stock. It is only once you sell shares that you owe tax on the NUA. What Might a NUA Strategy Cost You? An example illustrates the potential tax savings. Let’s say you have $100,000 in company stock and your cost basis is $30,000, and you are in the 28 percent federal income tax bracket. Okay, that’s definitely an upfront tax hit for using NUA. How Could a NUA Strategy Pay Off? Tax Due on $100,000 withdrawn from IRA: $28,000. The total tax bill using the NUA strategy is $18,900. (The $8,400 income tax on the cost basis + the $10,500 in long term capital gains tax on the appreciated value of the stock.) That’s a tax savings of nearly $10,000 compared to paying income tax on a $100,000 withdrawal from a Traditional IRA. If you want to hold onto the stock once you move it into the taxable account, you will still be able to benefit from the lower capital gains rate. As long as your holding period is at least one year you will qualify for the long-term cap gains rate on any additional appreciation. One caveat: if your NUA stock pays a dividend, you will owe income tax on dividend payouts. Try a Net Unrealized Appreciation calculator to help you determine if the NUA strategy can pay off for you. Before making any moves it’s wise to consult a trusted tax advisor. And while you’re focused on tax savings, check that you are making the most of other tax-smart strategies that will stretch the value of your retirement dollars. Most importantly, make sure you create and maintain a detailed retirement plan. The NewRetirement retirement planner let’s you set different levels of spending and earning for different phases of your retirement. 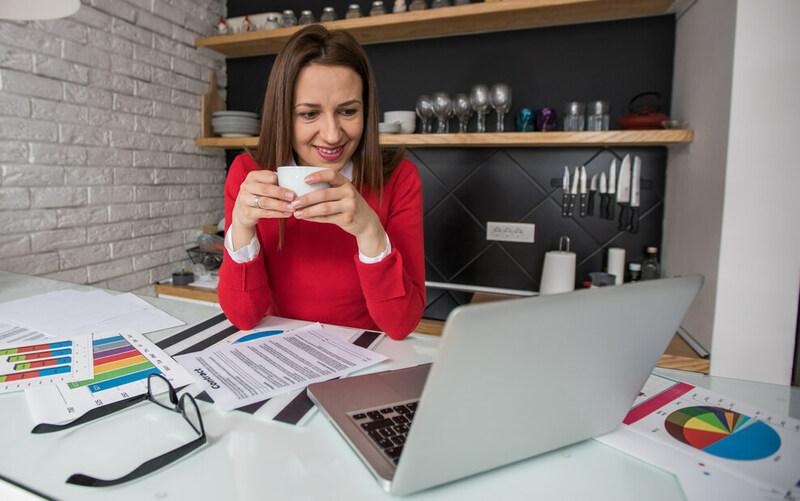 This system makes it easy to get started planning your future finances, but it addresses many details not covered in other tools which can mean a more reliable plan for your future. Forbes Magazine calls this system “a new approach to retirement planning” and it was named a best retirement calculator by the American Association of Individual Investor’s (AAII) and CanIRetireYet. Is it time to update your retirement plan?